Preservation Virginia 2012’s list of places, buildings and archaeological sites across the Commonwealth that face imminent or sustained threats to their integrity or in some cases their very survival includes the Ashland Theater. The listing is intended to bring attention to the threats described and to encourage citizens and organizations to continue to advocate for their protection and preservation. 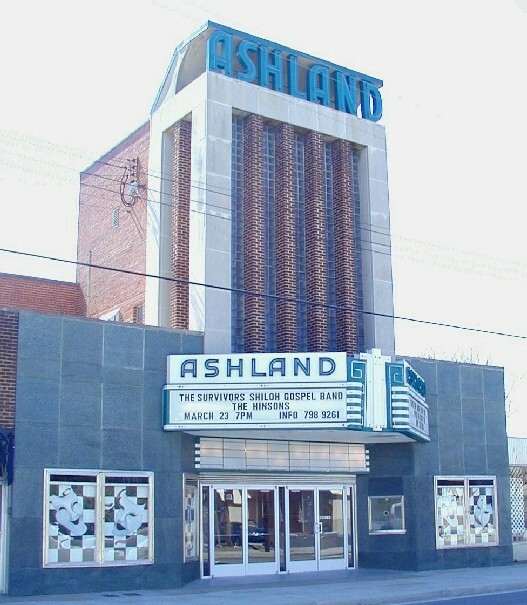 The Ashland Theater, a centerpiece of Ashland’s main street has sat vacant and/or under used for 17 years. A group of local leaders in the Town of Ashland will be holding roundtable discussions to determine how the theater can be restored and reused. This former neon-illuminated downtown icon is becoming an eyesore and is in peril of becoming a negative symbol in the midst of revitalization efforts. The theater is deteriorating from neglect and disrepair. Local supporters should undertake a feasibility study to determine the viablity of re-purposing the theater into a performing arts venue, to support Ashland’s Main Street vision of being a thriving “destination location” for arts and culture and a prime heritage tourism destination.